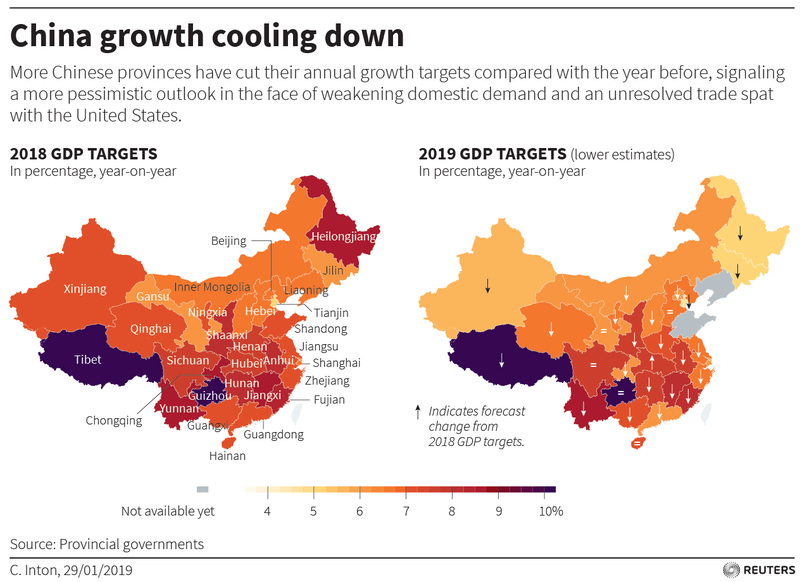 At least 23 Chinese provinces have cut their growth targets in 2019, according to a Reuters analysis. Only one, Hubei, has raised its target. Chinese regulators have cut the minimum premium that local governments must pay to issue debt, sources with direct knowledge of the matter told Reuters on Jan. 30. Lower borrowing costs are intended to spur investment. 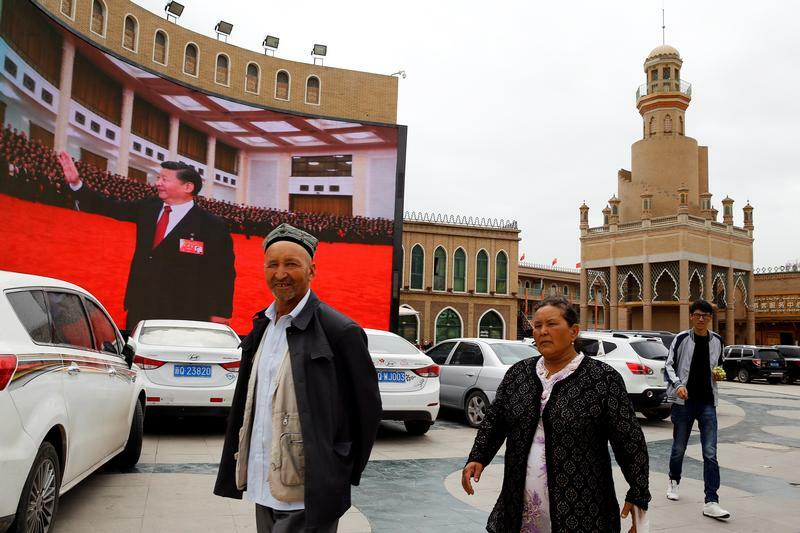 The Chinese government has detained as many as a million members of the predominantly Uighur ethnic group in facilities in the province-level region of Xinjiang, according to estimates cited by the United Nations. In internment camps they receive instruction in Mandarin Chinese, the language of the majority Han ethnic group. They are also taught Chinese law, national politics, and warned of the dangers of religious extremism.